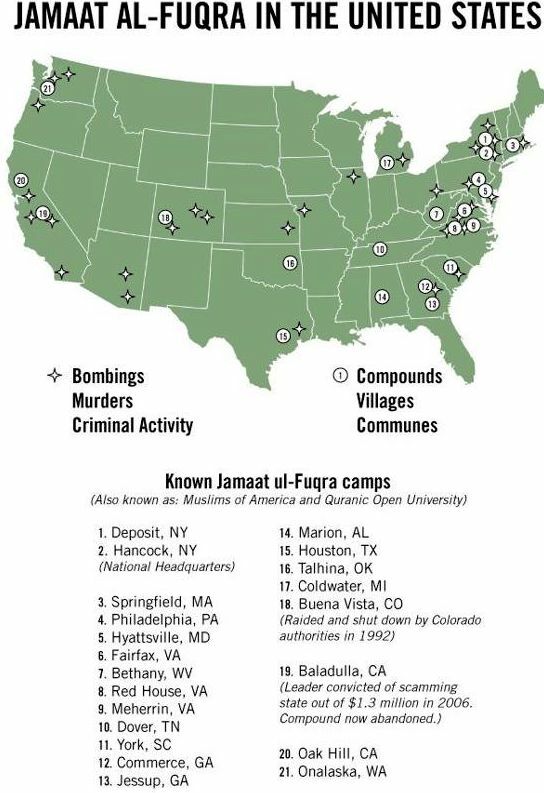 Match Up the camps in the Map on the Left with the Map of Mosques on the Right! 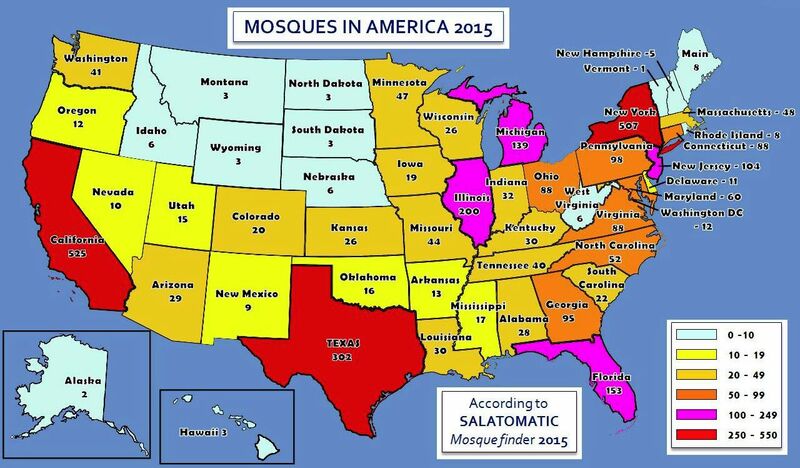 The Muslims in America who are out to Islamicize America are smart – very, very smart. They plan to take over Congress, one member at a time, and the progressives love it. Here is how they do it. They take young Muslims, who brand themselves as progressives and promote them to run for political positions across America. This is extremely bad for America. But when will enough Americans wake up and realize what is going on? El-Sayed is running to be the first Muslim Governor of Michigan. He brands himself as a “progressive” democrat, and as a supporter of Bernie Sanders. Sanders is helping him with his campaign. We don't have a problem with the fact that El-Sayed is a Muslim. However, every American who cares about America should care that he was a student leader of the Muslim Student Association. 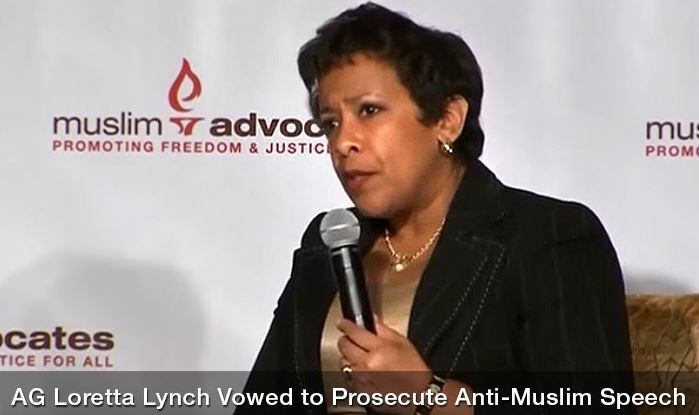 Everyone should care that he was part of the ​Muslim Brotherhood organization. The aim of both of these organizations is to use cultural jihad to change America from within. 20 years from now, I will be in Heaven,or someplace- I Hope ! This was written by a woman born in Egypt as a Muslim. Make sure you read the paragraph (in red ) toward the end. > honor killing) to restore the honor of the family. Husbands can beat their wives 'at will' and he does not have to say why he has beaten her. Some of those I'm sending it to WILL NOT! Put your head back under the covers AND DO NOTHING! The parents of two Chatham Middle School seventh graders appeared with Fox's Tucker Carlson Show to voice ​concerns about the Islamic indoctrination of the students. ​ANN ARBOR, MI – The Thomas More Law Center (“TMLC”) has learned that the Islamic Society of Basking Ridge (“ISBR”), which was trying to obtain zoning changes to build a mosque in Bernards Township, NJ, has hidden from public view anti-Christian and anti-Semitic verses on its website, as well as its connection to the Islamic Society of North America (“ISNA”)— an unindicted co-conspirator in the largest terrorism financing trial in America. ISNA is claimed by the Muslim Brotherhood as one of “our organizations and . 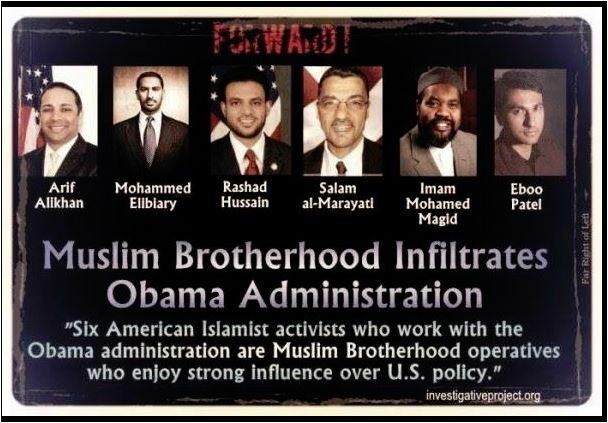 . . our friends.” According to internal documents seized by the FBI, the Muslim Brotherhood’s strategy is to engage in a “grand Jihad in eliminating and destroying Western civilization from within . . .”—one of the stages of this civilization jihad is the building of mosques and Islamic centers. ​Plaintiffs ISBR and Mohammad Ali Chaudry sued in March 2016, claiming that the denial of zoning changes to permit a mosque violated the Religious Land Use and Institutionalized Persons Act (“RLUIPA”) of 2000 and reflected community “religious and cultural animus against Muslims.” Within a week of the ISBR lawsuit, the Justice Department launched its own investigation and filed its own lawsuit. While a visible link to the quotes below was once contained on the ISBR website, ISBR has now taken the extraordinary step of hiding the links from public view. “The charter school experiment has resulted in the United States being the only country in the world where the Gülen Movement has been able to establish schools fully funded by the host country’s taxpayers.” -The Joke’s on US! ISLAM IS IN THE HOUSE!